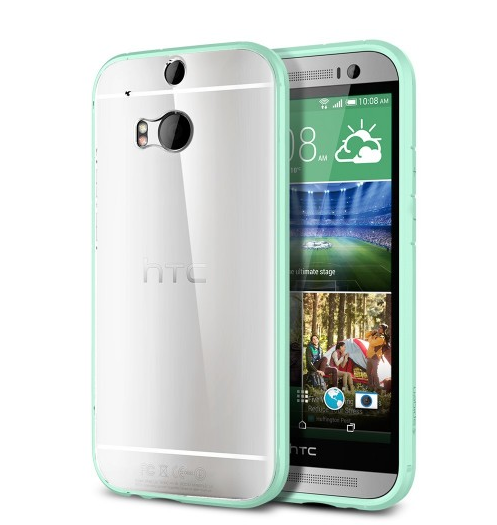 With all this talk about the iPhone 6, we’d sort of forgotten about how great the HTC One M8 was, and if you’re thinking about getting one, you’re going to need a case to protect it and stand out from the crowd. Of course, there’s the official HTC Dot View case that everyone’s been raving about, which we’ll talk about, but, if you’re looking for something different or not prepared to pay the £35 price tag for it, here’s our rundown of some of the best HTC One M8 cases on the market. Whether you want something rugged, or something to just make your HTC phone stand out from the crowd, we’ve got you covered. The HTC Dot View case has been one of the most hyped features about this phone, mostly because it’s really cool, and unlike any case we’ve seen before. 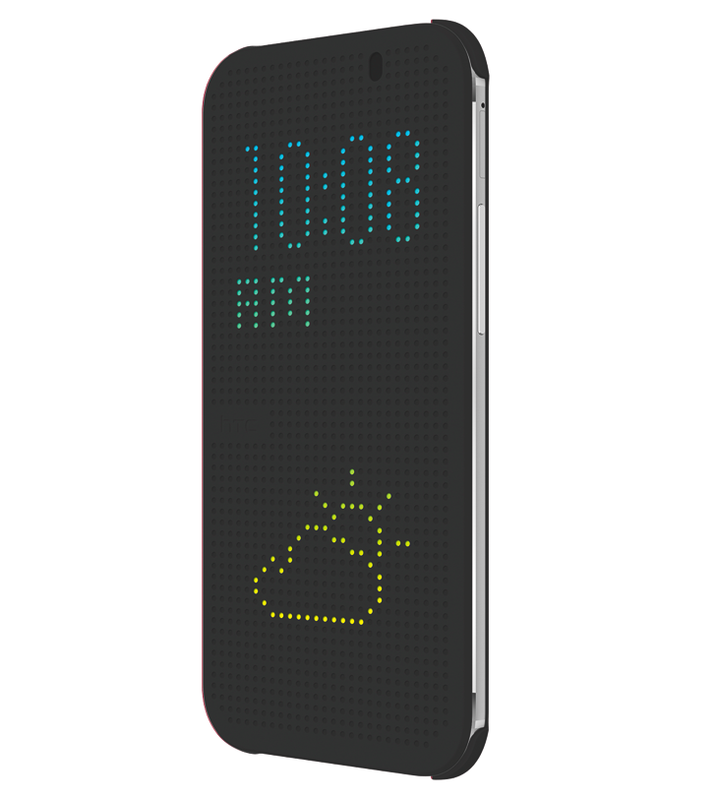 It’s a rubber-feel flip case with a matrix of dots that light up, and comes with an app, so you can see the time, weather, and phone notifications without opening the case or turning the screen on, as well as make phone calls using voice commands. There’s also a selection of themes you can use if you’d like the cover to show a pattern. While the case doesn’t look like it’d do an amazing job of protecting your phone from a bad fall, it’s a pretty cool and innovative idea for those wanting something a bit different, and comes in four different colours too. 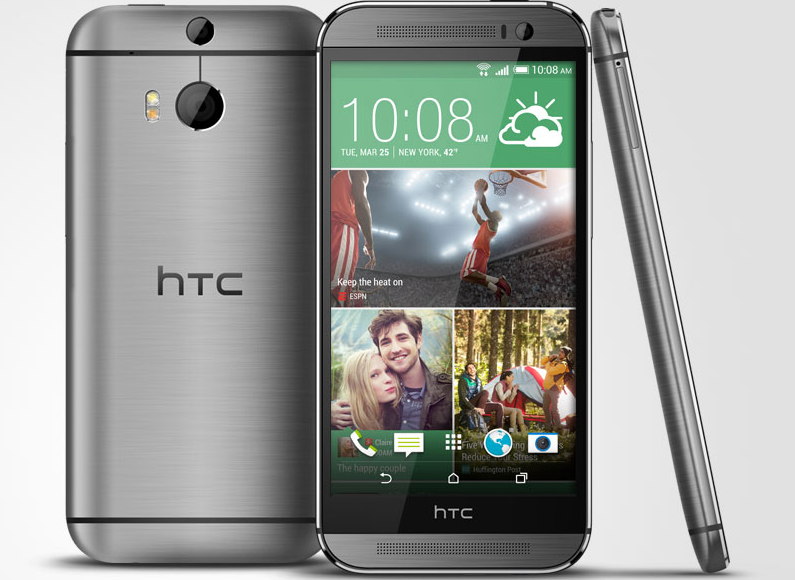 Get yours from HTC for £34.99. 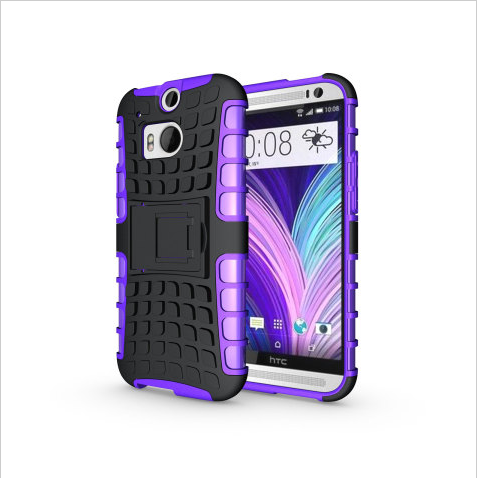 Named the Feather, due to its ultra-light weight and 1mm thickness, this Incipio case will make sure your HTC One M8 doesn’t get any bulkier than its already quite heavy weight of 160g, and still provides good shock absorption for your new phone. The Feather makes sure the phone sockets are accessible, including the headphone jack which has been moved from the top of the M7 to the bottom for this phone. You’ll also still be able to access the MicroSD slot, which has been added to the M8. You can buy an Incipio Feather from Amazon for £19.95. These bright cases are incredibly slim and protective, with their raised edges around the screen acting as a bumper, helping to protect it from drops and scratches. 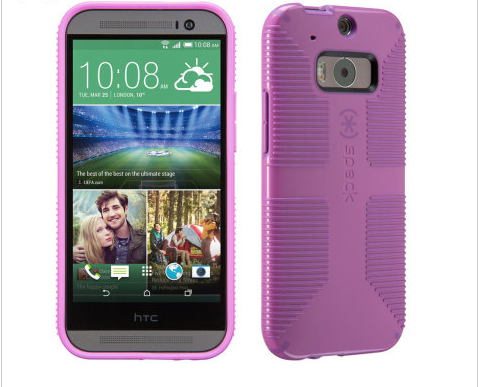 The button cutouts on this slim HTC One case enable you to use the HTC One M8’s features, including the IR Blaster and UltraPixel Camera, to their full potential. The case comes in four different colours, but our favourite is the Teal Rose one, because the contrast between the blue and the pink will definitely make your HTC phone stand out. You can buy a Symmetry case from the Otterbox website for $39.95. The Armourdillo case provides great shock and impact absorption, covering the back and corners of your HTC One M8 from damage, although that means the case is a lot bulkier than some of the ones we’ve looked at already. The case also features a stand that pulls out and clicks back into place, so you can watch TV shows or Skype hands-free pretty easily. Get yours for £12.99 from Mobile Fun. 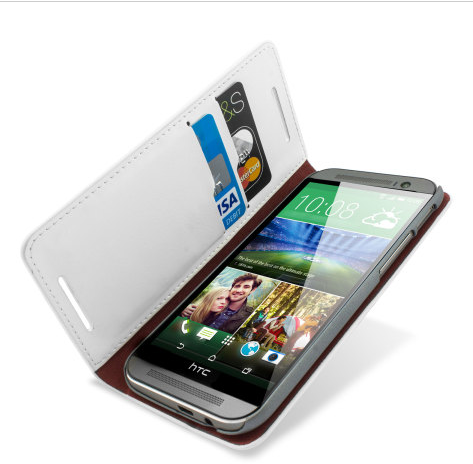 This Adarga case holds your HTC One M8 in place, and has space for three of your cards (although if you’re an EE customer, you may not need those cards with Cash on Tap now anyway) and some cash too. It also works as a viewing stand for when you want to make video calls or watch a film. 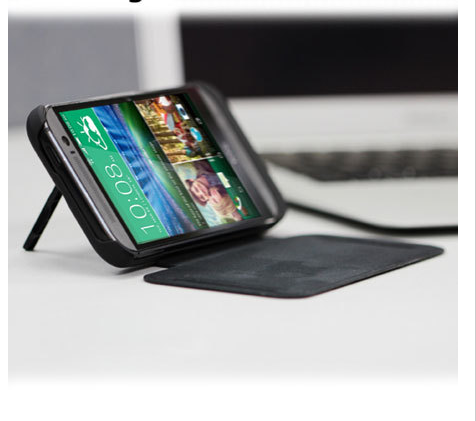 The case has a magnetic clasp, so you can be sure your phone isn’t going to fall out either. The Adarga case is available from Mobile Fun for £19.99. While the HTC One M8 has an impressive battery size of 2600 mAh and a new battery-saving mode called Extreme Power Saving, it’s inevitable that there are going to be those moments where your phone needs an emergency charge, which is where the enCharge Power Jacket comes in. In addition to protecting your phone from drops and bumps, the Power Jacket can charge your phone one and a half times over, and also includes a kickstand, so you can use it to watch films too. Get yours for £34.99 from Mobile Fun. 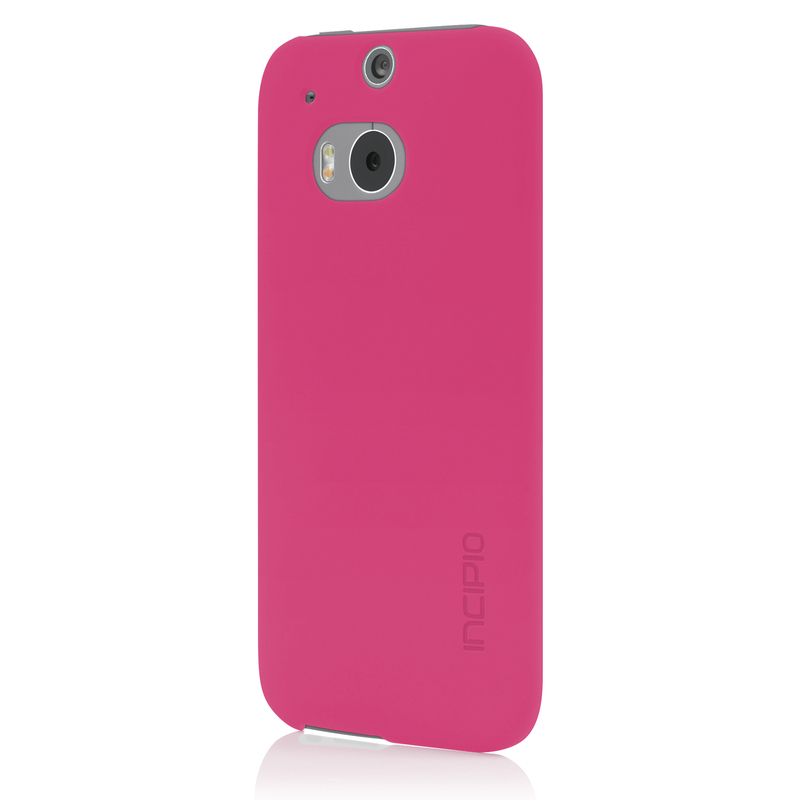 This case may come in a girly colour, but it’s far from girly in personality. The hard shell protects against drops, scratches and impacts, and the rubberised inner lining extends to a bezel, which protects your screen if it falls face down, so you won’t need to worry about smashing it either. The interlinked rubberised ridges on the outside of the case not only provide added shock absorbency, but also provide extra grip, so you’re very unlikely to drop it accidentally. Get yours from the Speck website for $34.95. If you want to protect your phone, but aren’t thrilled about having to cover up your shiny new white HTC One M8, this is the best choice for you. The transparent cover adds a burst of colour with its bumpers – our favourite is the turquoise, seen above – and still keeps your phone fully enclosed, providing protection and grip, so you’re less likely to drop it. Get yours from Spigen for £17.99. 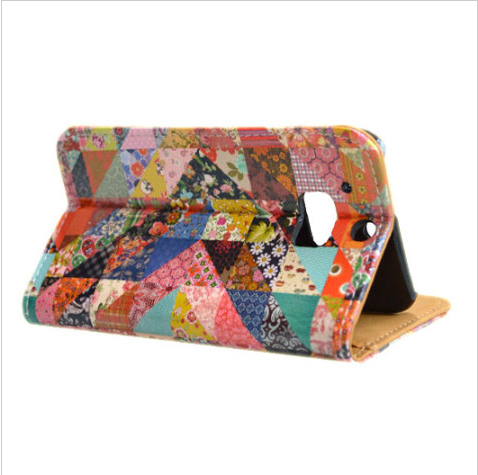 This case not only looks great, and will definitely make your HTC One M8 stand out from the crowd, with its quilt-like patchwork pattern, but it’s also one of the most practical cases on this list. The Create and Case, erm, case can be folded to become a stand case for viewing TV shows and films, and also has slots for your cards, with its wallet-style opening. The case is also protective, which you’d want from a case anyway, really. The leather-style material used all around the case offers protection against impact damage and scratches, while the magnetic opening makes sure that the flap doesn’t keep coming open to expose your screen. Get yours from Create and Case for £24.99. If you can never decide which cover you actually want to use to accessorise your HTC One M8, this four-pack could be the set for you. Coming with four colours – Purple, Smoke Black, Frost White and Clear – the cases are easy to fit and remove, just snapping on. 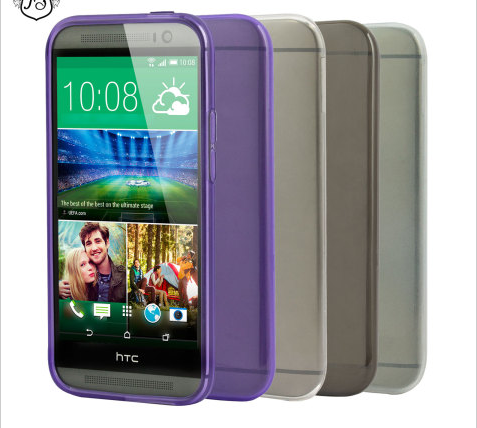 All four cases are made from a special tough gel, giving the flexibility of silicone materials, but also the toughness of a plastic, ad they’re slim enough that they won’t add any extra bulk to your HTC phone. Get yours from Mobile Fun for £14.99.